Johannesburg - Hashim Amla has backed fellow top-order batsman AB de Villiers to continue with his new role behind the stumps in South Africa's Test team. 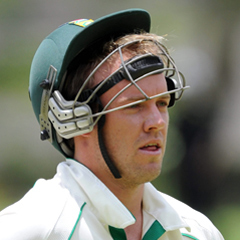 De Villiers has made 230 runs in four Tests, at an average of 46, since taking the gloves from veteran wicketkeeper Mark Boucher who retired earlier this season. Amla said the Proteas, who drew the first Test against Australia in a rain-interrupted match in Brisbane this week, would need to adapt to the conditions as they looked to beak the deadlock in the second game in Adelaide next week. Amla, who made 104 runs in South Africa's first innings - his third ton in four Tests - was one five centurions in Brisbane, but the Proteas were not relying on another batting-friendly pitch. "When we get to Adelaide we will try and assess what kind of conditions we are going to have there and try and adapt accordingly."